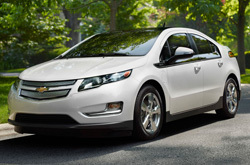 Scroll past the 2013 Chevrolet Volt review video below to start reading about the new Volt. We take our responsibility to outfit the most striking reviews authored by Chevrolet automotive writers - it's just another thing that makes us the top-rated Chevrolet dealer in Arlington, TX. We're your Chevrolet Volt dealer; this article will help you learn everything you need to know about the Chevrolet Volt in Arlington, TX. Vandergriff Chevrolet is always available 7 days a week to answer questions you have. Do not hesitate to call us to speak with our Volt specialists. 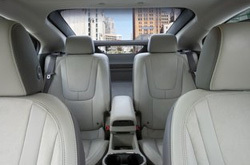 Comparing the 2013 Chevrolet Volt alongside against vehicles like the 2013 Ford Focus Electric, Toyota Prius, Hyundai Sonata Hybrid and the Nissan Leaf, and you will discover that the 2013 Volt transcends the competition in loads areas. Look through our bullets to see why! Get actual factory parts and spectacular workmanship from Chevrolet technicians at a venue that's just a quick jaunt from where you live. At our Chevrolet auto repair center in Arlington, TX, we offer this and a full year warranty on all services! If you avoid getting dependable repair work, your Chevrolet Volt's health might deteriorate, so bring it to the distinguished mechanics at Vandergriff Chevrolet. Whether you're on the hunt for cheap transmission repair or less time consuming work like tire replacement or common oil changes, we'll take care of it! And these things are only a tiny part of the services we do. And, Vandergriff Chevrolet offers one-on-one customer service and thrifty prices. The link under this text is your roadway to savings! Click now and you'll be linked to our coupon specials page!